Starting shortly after the introduction and prologue to the game, The Best of White Orchard is your first chance to encounter one of the BOSS monsters known as a Griffin. This is a splendid fight so read on for a complete walkthrough for this quest. 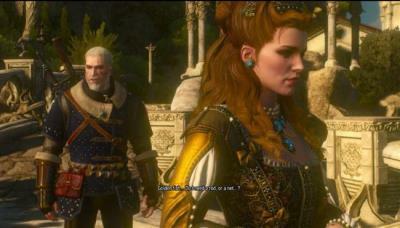 After speaking with the commander of Nilfgaardian garrison Geralt accepts to hunt down and kill the Griffin in return for more information on Yennefer's whereabouts. Without the Bestiary entry, Geralt knows little about the griffin monster so must learn more from the local hunter. As with other monsters, players can earn their first Mutagen from this quest. It's a green colour thus giving you bonus rewards for Alchemy skills after you place it in the Mutagen slot of the character screen. Possible Rewards: Green Mutagen, Alchemy Ingredients, 150 Crowns. Players need to travel to Woesong Bridge and track down the location of the hunter. 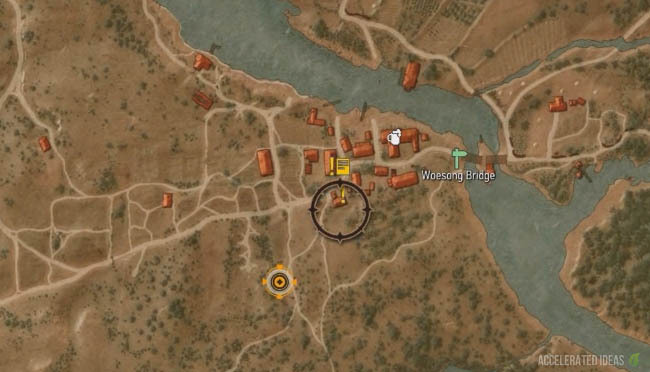 The fastest route is to leave the Nilfgaard garrison and head to the nearby Sign Post (green icon on map), engage in Fast Travel and go straight to Woesong Bridge - it's only a short horse ride to the hunters hut from there. The door to the hut will be locked so use your Witcher senses (L2 on PS4) and look at ground level for footprints. These bright red marks will show you where the hunter has ventured off to - time to track him down! After following the trail into the woods, you'll find the hunter crouching down. Talk to him to continue the quest and learn about the Griffin. The next cutscene will lead you back to your Witcher companion and then it's down to tracking the Griffin for a fight. Killing the Griffin is the hardest part to this quest and it's split into two fights. Those with an eye on the cutscene dialogue will have noticed that Geralt was given a Crossbow from his Witcher friend Vesemir. You can use this long ranged weapon during the fight by opening up the Quick Access Menu and pointing the cursor to the bottom section (below the Signs). This option will help you deal damage from afar. The key to killing the Griffin is to make the monster land, either through hurting him or dodging enough attacks that he'll land. In the walkthrough video for this section I decided to take on the Griffin using only the sword, possibly a mistake but alot of fun! As with most monsters in the game, you inflict more damage if you attack from either the side or the back of the monster. Attacking from the back will inflict the most damage, especially critical hits thus helping you kill the monster quickly. Personally, I don't favour Strong Attacks and prefer to swipe several times using Fast Attacks. These give you the option to roll away or dodge should you miss, or should the griffin try and swipe you with his claws. Once you've dealt about half damage, the Griffin will fly away and you'll hear Vesemir shout "Don't let it get away!". Now is the time to chase after the beast, towards the windmill where he'll take root again. This time the Griffin appears to be more aggressive but time your dodges well and then attack from the side or behind to finish him off. A good Axii Sign will inflict burn damage whilst the Yrden Sign is great for slowing the Griffin down whilst you maneuver behind him. Head back to the Nilfgaardian garrison and visit the commander for you reward. Players will have a few seconds to choose to either accept or deny the coins. Witcher are typically paid for tasks, and paid well, so I accepted the money. 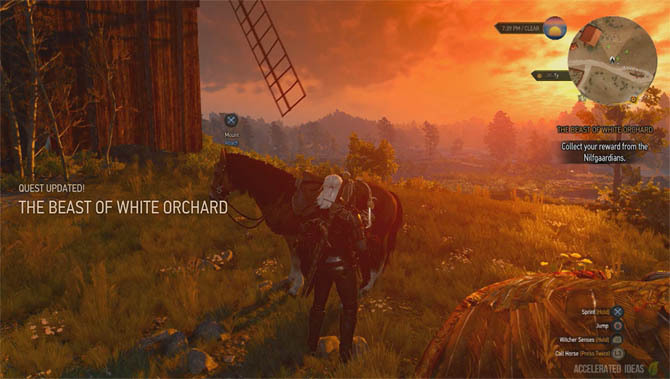 At the end of this sub quest, the main Lilac and Gooseberries quest appears top right: "Prepare to leave White Orchard with Vesemir". This quest leads onto the Incident in White Orchard, eventually taking you to Velen (No Man's Land).